Extremely prompt and helpful service. Professional and excellent service and value for money. Friendly and helpful staff, good service, good price. Polite pleasant service and got the job done promptly. Very efficient service on the many times I have had tyres replaced. 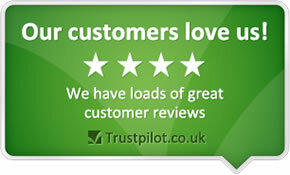 Darren and his team work incredibly hard and look after the customer, a credit to your firm. Good service and done on time. Attentive service. No waiting. Very professional. National Tyres is very handy to where I live, their MOT price is very competitive and my husband, sister all took our cars there last year for an MOT. The work is done promtly and the staff are helpful. Quick polite customer service. No waiting around. carrying out the work quickly while I waited at a competitive price. I was able to get a fixed price online. Excellent tyre price (especially when bought in advance online). Trustworthy & sensible MOT at half standard price - I had previously always been suspicious of cheaper MOT's carried out at tyre place touting for business, none of it at my local branch. Completely honest. Been there every time with both of our cars since they started testing. First class service by Jack Edwards when carrying out a puncture repair to my vehicle. I had a very polite, quick service during the 2 times that I visited your Taunton branch this week. No hassle getting the work done. Just a great service...convenient, hardly any waiting... polite friendly knowledgeable staff. As per usual good and acceptably prompt service. Great service and staff plus excellent prices. Prompt, helpful and efficient service. Your claim to match price locally. Ease of access. Quality of service and efficiency. I experienced very good and efficient and speedy service today. Friendly efficient staff Fast and great quality service Excellent value for money. Never have to wait long..just a wonderful service. Work carried out while you wait. Prices generally competitive. Good service and whilst not cheap they had a promotion on. I went in to buy one tyre and ended up replacing all 4. Excellent service from Darren and his team at Taunton when we had a puncture while travelling from Norfolk to Cornwall. Pleased and relieved that he had two tyres in our unusual size - I bought them both and they were fitted quickly and efficiently. This was on 24th October '15, job no. 47377039. Good service with honest opinions on upcoming problems. Very helpful. Very friendly.Professional. Fast and good service. Cheap. Felt comfortable being in what is mainly a male environment. I was disappointed to see the young man who was repairing my puncture going off for a cup of tea/coffee whilst I was waiting. excellent service and very reliable. Instant service in a really friendly and professional manner. Courteous and professional staff.I've used this firm for many years now.We had a "bust up" last year but I wanted to get back to the good relationship I've always had with you apart from that. Very friendly, helpful and professional. All repairs done in a timely manner. Good service and friendly staff. Competitive prices. Ease of booking, good prices and excellant customer service. They were excellent from start to finish, talking me through the options in layman's terms on the phone and then dealing with me very quickly first thing the next morning as soon as they opened for the tyres to be fitted in only about half-an-hour, which was important to me as I was short of time. The man at the counter kept me well informed of progress and also personally took me in to see the car's brake pads with my own eyes and to explain how they will need replacing shortly. Fairly competitive prices but don't usually match online suppliers. Speedy service although a wait to get work started. Wheel alignment seems good but a bit pricey. It is local and fairly priced. The mechanics know me and are honest. I have always been very pleased with the work done by National Tyres and Autocare, and they have been very professional, and the price is always reasonable. The staff were very helpful and very efficent when I left my car for a complete new exhaust system,The price was very competitive, And allround a good experience. Friendly staff. Good pricing. Excellent advice. Very helpful and polite member of staff that I dealt with. Quick service and help with an unrelated problem to the replacement tyre I needed when my puncture could not be repaired. The only negative was price. Despite being discounted I felt I paid more than I would have by going elsewhere. Good Service and stock availability. Great quick and honest service. Very good friendly and helpful customer service from the staff at your Taunton branch, a credit to your Company. Keen prices and helpful staff. Price, quality of service, speed of delivery. Staff advice felt genuine and polite. Work undertaken in full view so work was very transparent. Small detail of driving car to front door made difference over competitors. Consistencey Of Good friendly Service, competetive price. Giving vehicle visual safety inspection when Wheels are off. Quick service, professional advice and friendly. Very professional service. The staff are always very welcoming and know their stuff. I am confident accepting their recommendations. I find John and Rhys exceptionally helpful. Prompt and very good communications. Taunton staff are excellent. John seeley is always v helpful and is always smiling.. Quotes always seem to be very competitive upon comparison with other centres. Staff always polite and helpful. Very pleased with service to date. Helpful at all times with good advice. When my exhaust had problems they checked their data base and found it was still inside the warranty and replaced it for free. good honest service and excellent price match. Friendly staff members, cheaper then other people on the tyres also recommend getting tracking down as the old tyres where worn unevenly. Friendly efficient service, seems good value for money. Excellent customer service,very polite, explained exactly what work was required & when I realised I had left spare keys in car on site, phoned in & they were deliverd back to my home some 11 miles away in the evening. Well done to all concerned. on ringing around,other tyre centre's cost more, and did not stock our tyre's, they had to be ordered in,you had them in stock the same day that we rang,and was able to come and have them fitted, so you were best all round.so yes i will be recommending you. No fuss, just efficient service.